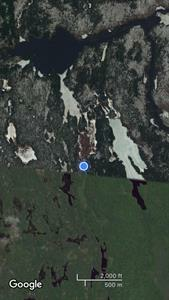 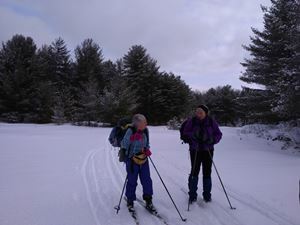 Ski and snowshoe conditions were excellent this week. 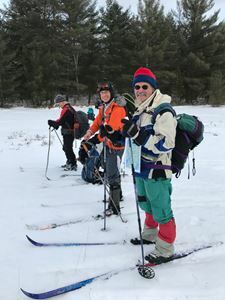 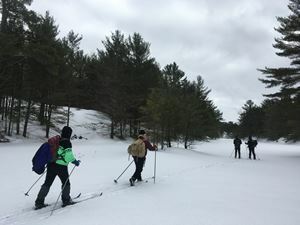 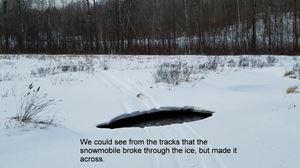 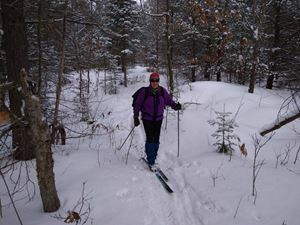 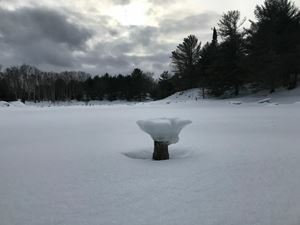 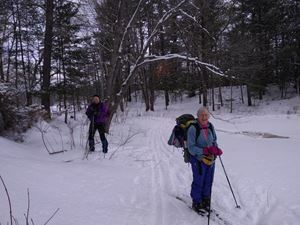 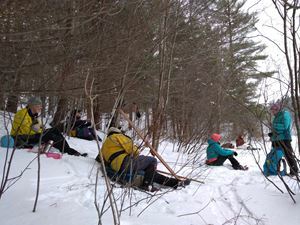 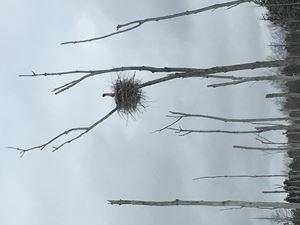 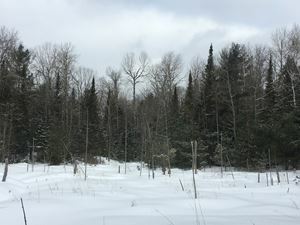 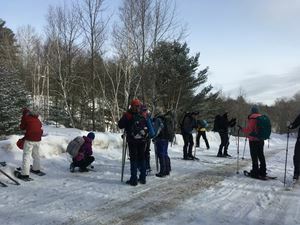 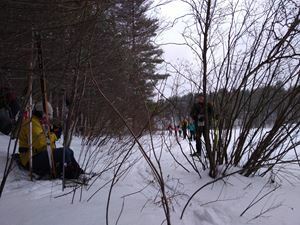 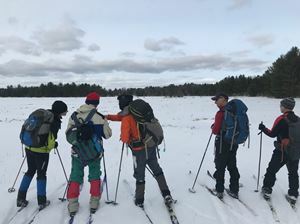 We had about 8-10 centimetres of light snow on a firm base in the woods which made trail breaking and skiing quite fast on the trails and marshes. 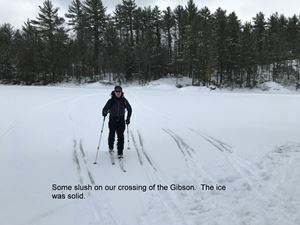 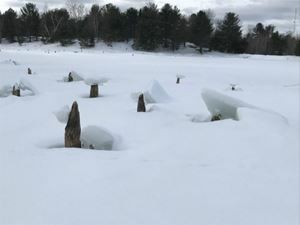 On the bigger lakes, there was a bit more of an icy crust because of the earlier winds in the week blowing off some of the snow in the open areas. 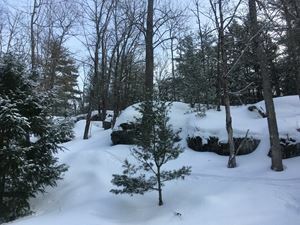 Next Sunday should be a fantastic day with a lot more snow in the forecast this week.